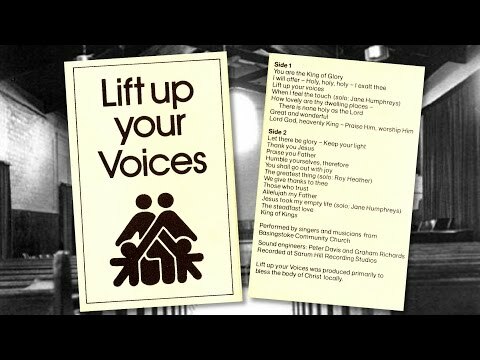 'Lift up your Voices' was a recording produced by singers and musicians from Basingstoke Community Church in the 1970s. It was only produced as a cassette and the cover notes state 'It was recorded at Sarum Hill Recording Studios with the aim to bless the body of Christ locally'. Here it is in a digital format for some to remember and for others to discover...enjoy!